Are you wondering what NBUS stands for? I believe I mentioned it a couple of posts ago but I will tell you again just in case you are old like me and stuff falls out of my brain at a rapid rate. It is Never Before Used Stuff. Darnell over at Djkardkreations is responsible for this challenge. Boy do I have a lot of NBUS. I was asked to make a baby card for a couple in my church who just had a baby boy. 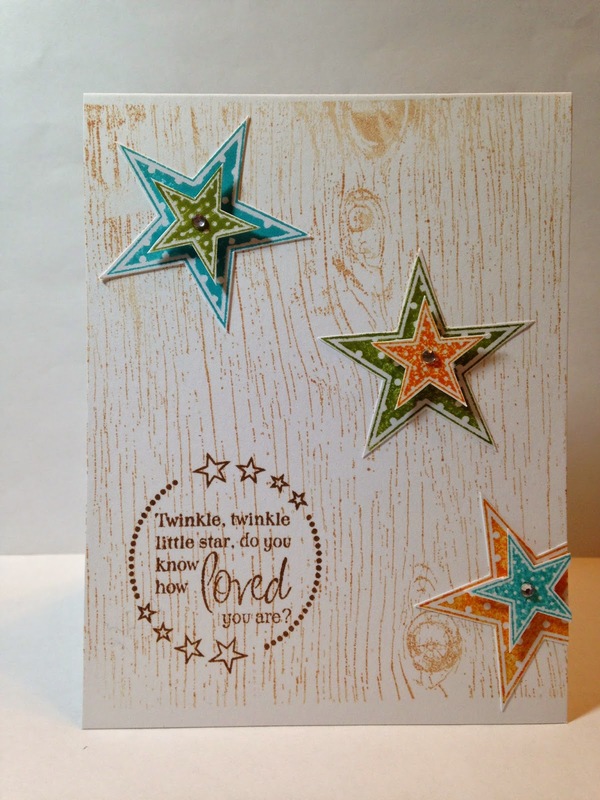 I pulled out this woodgrain background stamp that I have had for ages and never used along with a Verve sentiment again never used and then used some PapertreyInk stars that I have used before and then as a final touch I put some never before opened bling on top of the stars. I like how it came out and it certainly is not your typical baby card! I hope they like it as well. 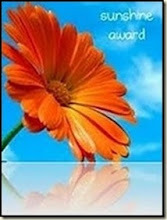 I am going to link this up at Darnell's now but will be back later with another card. Cute card, Sheri! I bet they will love it! Love that cute sentiment with the stars!!! 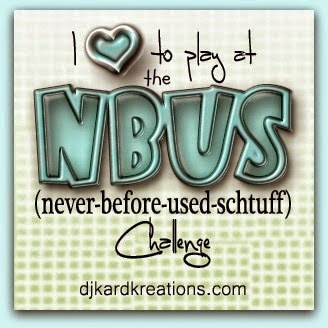 I could probably do a NBUS card every day for over a year. I love the colors you choose for your card! Perfect for a baby boy! Very sweet card.